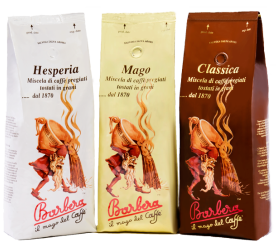 What is the secret of Barbera Coffee? 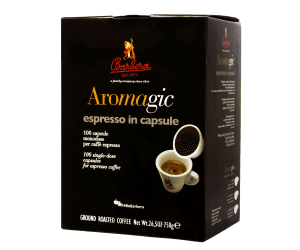 Our worldwide customers with their sharp sense of smell and taste back us up on this: it is the distinctive aroma and perfect blend of selected coffee beans managed by almost 150 years of family know-how. It is all about the secret mix and right balance, which makes the coffee inimitable. 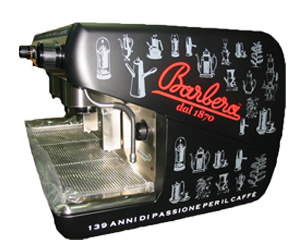 According to the Barbera’s, an authentic Italian Espresso must follow some traditional rules. Beans must be roasted separately and slowly, then rapidly air-cooled with dehumidified air, (otherwise water reduces most of the aroma). The result is a discovery of pure pleasure to the five senses. Indulge the Barbera experience everywhere and at anytime. 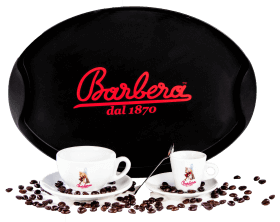 Whether it is a morning jump-start or an afternoon delight, Barbera is always a good cup of joy. 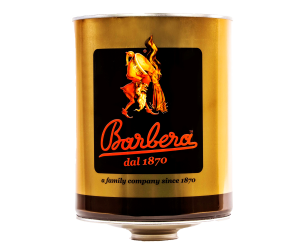 The newest Vintage Can has been developed following the design of the the first Barbera Can, produced in 1921. With pride and devotion we are glad to celebrate one of the most famous Barbera products. 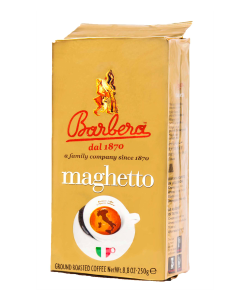 The Vintage Can contains 2x250g of our finest blend maghetto. 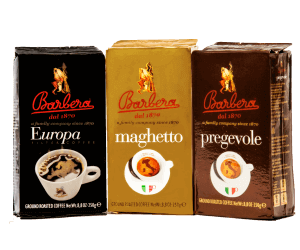 This is the expression and result of the experience gained by Caffé Barbera in its antique trade. Directly sourced from different varieties of the world’s finest coffee beans from Brazil, Central America and Indonesia, slow roasted separately and artfully blended to our original recipe. The aroma is intense with a hint of chocolate. The strong, slightly sour, and quite persistent flavor. 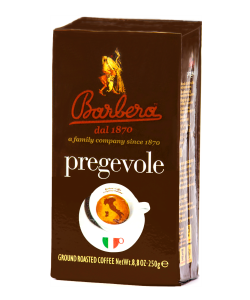 Caffé Barbera 250g represents perhaps the most unique and elegant product for home consumers. on the palate. 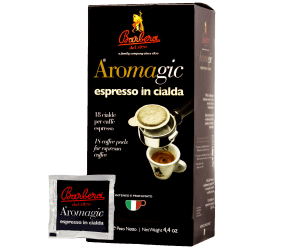 This blend is fulfilled of flavor and rich aroma. Persistent, full-bodied, and elegant, all in one. 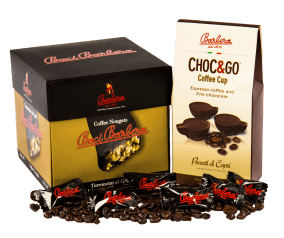 It is a four high-quality coffee beans blend directly selected from Brazil and Indonesia, roasted slowly and separately . 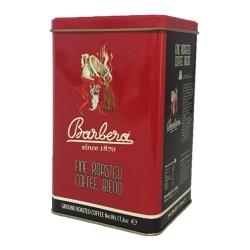 Slightly fruity at a first approach, but sweet and intense at the end, makes it an any time coffee. 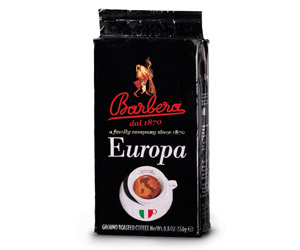 This blend is enriched by different varieties of the world’s finest coffee beans from Brazil and India. 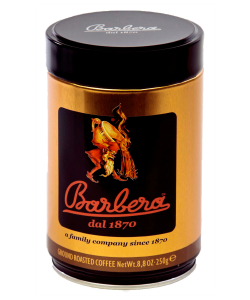 Smooth flavor, low acidity, light body, rich and toasty flavor are the unique characteristics of this blend.